First, we cleaned the 16mm film with a non-chemical cleaner designed by Kodak. This is a very important step so all particles and dust grains are removed for the cleanest transfer. The 16mm film is then passed through a professional-grade projector. While the conversion is taking place, the 16mm film to video transfer operator controls the color, gain and brightness. The built in feed back loop between the camera and projector allows the image to be dimmed or brightened based on the amount of light projected into the video camera during the 16 mm film transfer. Further, if the film always has a scene that needs light and every film always has that one dark scene – we can shoot more light (than a home projector) through the film when we transfer it so that the finished video on the DVD appears brighter. This is why some of our customers experience that their original 16mm films actually improved when converted to DVD. The video and audio content is then digitized and burned onto a DVD. Customers are often surprised that quality is better on the new DVD than on original film. At Play it Again Video, in addition to the DVD, we also provide to you, at no additional charge, a digital back-up tape of your films. In case you scratch or break your DVD, you don’t have to transfer your 16mm film all over again. Simply bring the mini-DV backup tape and transfer that to a DVD at a nominal $20 cost per tape. We have been transferring 16mm film-to-DVD since 1986. Our professional staff as well as state-of-the-art digital technology ensures the highest quality of our video transfer services. 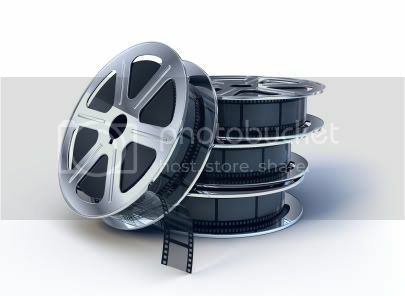 You’ll have the film reels converted to DVD precisely, quickly and for a very reasonable price.